The media and content studio, Packed.House, will celebrate its first birthday with a marketing block party where it will announce new partnerships and an expansion in services. From today, Packed.House will collaborate with global creative team RYOT Studio, Verizon Media’s in-house creative studio, spanning 15 countries. The already successful creative and commercial team in Packed.House will be collaborating with RYOT Studio to share learnings and best practices on branded content partnerships through new and emerging technologies like AR and VR. RYOT Studio is a next-generation creative studio offering a premium end-to-end content marketing solution that brings brands’ stories to life. It is committed to crafting custom content that has a fresh perspective on the human experience, using the newest and most ground breaking technologies to distribute content across diverse mediums and platforms. Fuelled by next generation technology, rich customer data, scaled distribution, premium publishing and award-winning creative expertise, RYOT Studio will work with Packed.House to create exciting content solutions for brands and their agency partners in Ireland. 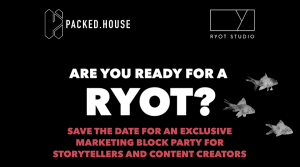 The partnership is being announced ahead of a marketing block party being hosted by Packed.House in collaboration with Verizon Media and RYOT Studio. 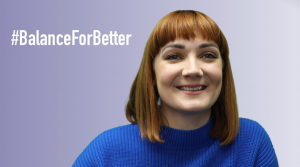 Over 100 marketers and creatives are due to attend an exclusive marketing session on Wednesday, April 10th, in the ODEON Point Square, Dublin. The session will include talks from Mark Melling, Head of RYOT Studio EMEA on the future of 5G for advertising and Luca Boschin, Co-founder and CEO of LogoGrab on artificial intelligence and how it can drive businesses into the future. Richie Kelly, CEO of Packed.House, will be talking through the new partnership, key global content trends and the importance of insight before ideation. A panel discussion will be hosted at the end on contextual creative by Jack Morley, Creative Director at Packed.House and Cara Doyle, Head of Content Partnerships at Packed.House. As well as that, VR and AR will be demonstrated in the warehouse after party by the expert team from RYOT. Limited places are still available at https://www.packed.house/ryot.